Bremerhaven will see the entire Phoenix Reisen fleet in port on the same day on July 25, with the Artania, Amadea, Albatros and Deutschland meeting in the German port. Across the board, it’s a mega season for the port, with 112 calls and 240,000 passengers expected, up 45 percent year-over-year, and way up from a reported 53,500 passengers in 2010. The season opened early, with the Saga Sapphire calling on January 5. April 21 was the port’s first double-call day, when the Astor joined the Deutschland. 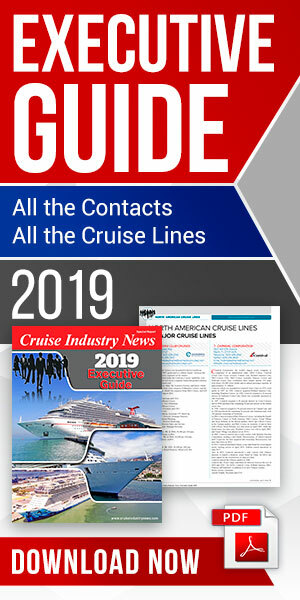 Maiden visits include the Norwegian Bliss, the new Mein Schiff 1, the Costa Mediterranea, Seabourn Ovation, Azamara Journey, Marella Discovery and AIDAnova. Veit Huerdler, managing director of the port (Columbus Cruise Center Bremerhaven), said his facility offered quick access to the open sea, with excellent infrastructure. The port has 1,000 meters of quay space, with good connections to highway and train networks, with a state-of-the-art cruise terminal, he said. The UNESCO World Heritage of the Bremen Town hall and trips to Hamburg are the highlight for visiting cruise passengers. There are also other excursions, such as visiting the Mercedes Benz factory in Bremen and a trip to Meyer Werft in Papenburg. The port can accommodate ships up to 350 meters in length and water depth is 10 meters.